This sandal wood paper knife is one of the Sandalwood & wooden handicrafts product.Wooden paper work is animals and figures. which is snakes, fish, bird, elephant tower, _owls, and more items are availables. Sandal wood paper cutter is aromatic wood. sandalwood aromatic is famous of the all of the worlds. 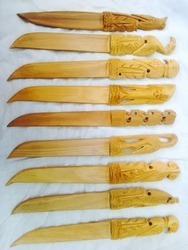 Being one of the trusted organizations in the market, we are affianced in providing a wide range of Sandalwood Knives. 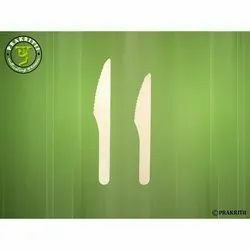 Our Wooden Butter Knives are made up of Wood like Palmwood/Ebonywood/Maplewood. We have carved a niche amongst the most trusted names in this business, engaged in offering a comprehensive range of Brich Wood Knife.